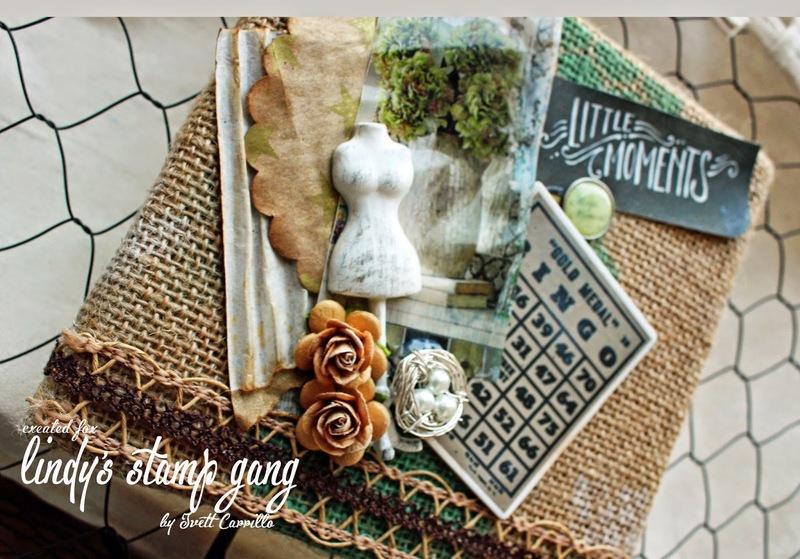 Hi Everyone Ivett here again to share a project that I have put together for you this lovely month of May! 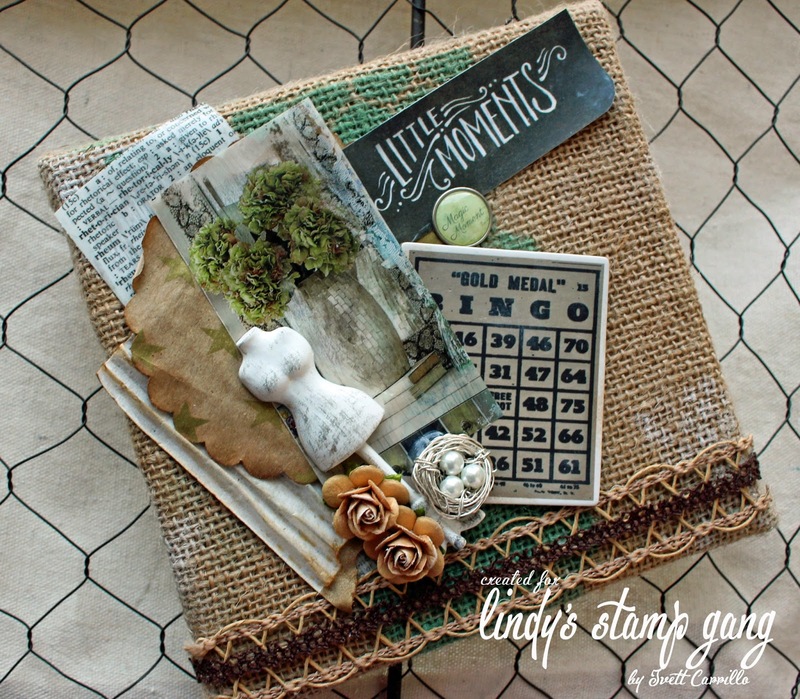 I received a burlap Canvas as a gift and couldn’t resist putting some adorable finds and trinkets on it and making them all pop with my Lindy’s Stamp Gang sprays! beautiful background. This combo is subtle but, delivers immense character!!! First Seasonal Design Team Member Announcement!!! 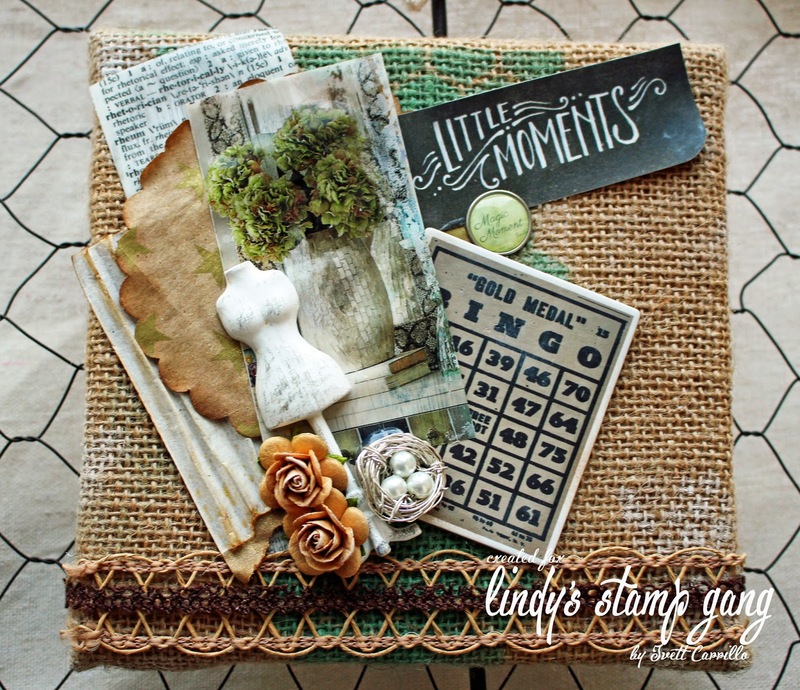 Wonderful project, love the vintage feeling !